AS PART of its Big Mac 50th celebrations, from today Macca's will be serving up more of the iconic burger, with the arrival of the Grand Big Mac. According to the press release: "The Grand Big Mac burger is packed full of all the classic Big Mac ingredients but with more special sauce over two larger 100 per cent Aussie beef patties, with more lettuce, cheese, and onions, all served on a larger sesame seed bun. The Grand Big Mac lands on Macca’s menus around Australia today. McDonald's Australia marketing director Jo Feeney said: "We're excited to be celebrating 50 years of the Big Mac, one of Macca's most popular burgers here and around the world. To celebrate this special occasion we're introducing the limited edition Grand Big Mac - giving our customers more of what they know and love." 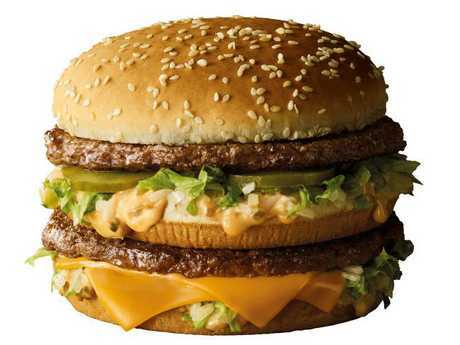 The Grand Big Mac will be available across McDonald's restaurants nationwide for a limited time only. The Grand Big Mac had a run in the UK earlier this year, where it sold out in three days. Fans of the iconic burger lost their minds over it on social media. Big Macs seems to be in the news a bit lately. Earlier this month a Wisconsin man (who already holds the Guinness World Record for eating the most Big Macs) reached another insane feat, polishing off his 30,000th burger. 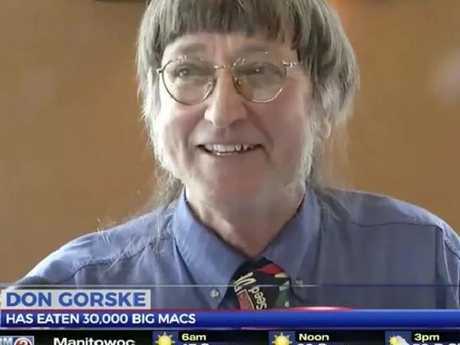 Don Gorske really, really likes Big Macs. McDonald's is not the only restaurant chain serving up a new limited-time-only menu offering this week. KFC launched its new hot and spicy chicken nuggets around Australia yesterday. KFC Australia chief marketing officer Annabel Fribence said: "Our hot and spicy chicken on the bone has a huge cult following and it's something that no one else can replicate. "We get so much love from fans on social media, we wanted to mix the already loved hot and spicy up and bring something unique to our fans and Australia. It was a no-brainer for us and after trying them myself, they really are something"